Manti boys medley relay team of Riley Searle (left), Lance Fowles, Jaden Sterner and Cooper Parry took the 3A state title in the event over the weekend. Their time of 3:36.55 broke a school record set in 1985. At right are two member of the 1985 team, Rory and Tyler Nielson. PROVO – The Manti boys 1600-meter medley relay team broke a 33-year-old school record with a time of 3:36.55 and took first place at the state track and field competition, held May 18-20 in Provo. The winning team of Cooper Parry, Lance Fowles, Jayden Sterner and Riley Searle beat their own record of 3:40.9 by 4.5 seconds. The boys took the region championship with a time of 3:40.9. That tied the school record set in 1985 by the team of Mike Burnridge, Tyler Nielson, Rory Nielson, and David Meade. In the medley relay, the first runner runs 200 meters. He hands off to another 200-meter runner. A third runner covers 400 meters, while the final runner covers 800 meters. The Manti girls 1600-meter medley relay team of Megan Olson, Ashton Wood, Alexis Jaussi, and Madison Norris ran just before the boys medley and survived a judging controversy to finish third with a new school record of 4:23.78. The previous record was set in 2017 with a time of 4:25.78. Rapier said that Jaussi and Norris have been the backbone of the girls relay team for the past three years. Norris also leaves Manti High School having set every distance running record for the school. Her record for the 800-meter is 2:22.69; 1600-meter is 5:24.39; 3200-meter is 11:53.03; and she has anchored the medley relay and the 4×400 relay in their school records. 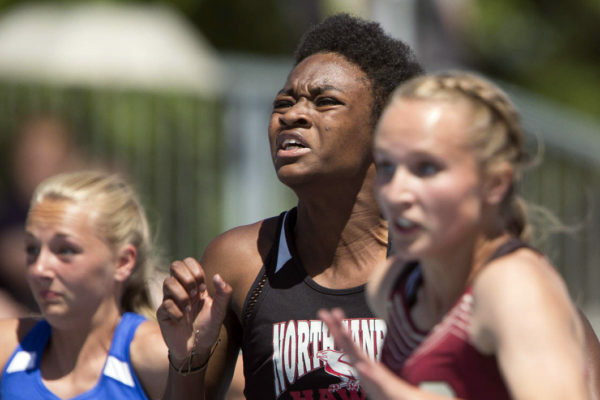 At the state meet, Norris placed fourth in the 800-meter with a time of 2:24.20, just two seconds slower that her school record. Riley Searle from Manti had a blistering run in the 800-meter. He started fast and set the pace through the first 400 meters. But he fell back a little over the next 200 meters. However, he kicked hard down the stretch to finish with a final time of 1:57.83, just .7 seconds of first place to take the silver medal. Searle also placed sixth in the 400-meter dash. Trevor Robinson of Manti took third place in the boys 110-meter hurdles with a time of 16.14 seconds. Brody Barson of Manti took fourth place in the boys discus with a throw of 130’00.75 feet. Jordan Cheney of Manti took fourth in the boys 3200-meter run and sixth in the boys 1600-meter run with a time of 4:31.19. The North Sanpete boys 4×100 relay team took fourth place with a time of 44.47 seconds. Parker Hightower from North Sanpete took third place in both the boys 100-meter and the 200-meter dash. Isabelle Hightower from North Sanpete took second place in the 100-meter dash with a time of 12.62 seconds. The Wasatch Academy girls medley relay team took third place with a time of 4:31.44. Kjiersten Birch from Manti took seventh in the girls shot put with a throw of 31’10. 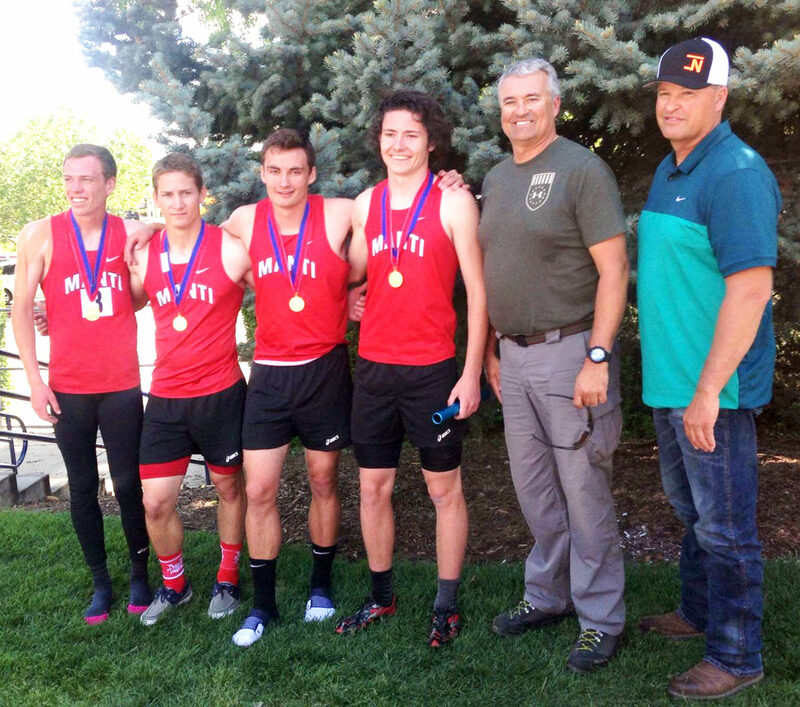 The North Sanpete boys relay team took eighth place in the 1600–meter medley relay, against Manti who took first in the state. In 4×400 relay, both Manti’s boys and girls relay teams took sixth place. The North Sanpete boys 4×400 relay team took eighth place. The girls 4×100 relay team from North Sanpete took eighth with a time of 53 seconds flat. Karson Parish from North Sanpete took eighth in the boys 200-meter dash. Linzy Flinders from North Sanpete took fifth in the girls 400-meter dash. North Sanpete’s Isabelle Hightower took silver in the 100-meter dash at the state track and field competition held in Provo on May 17-19.